Whether you have played a course 20+ times a year or looking to play the course for the first time, insights from an insider can help enhance your golf experience. Below is an interview with Terry O'Hara who shares some valuable tidbits about the course, memorable holes and must eats and treats at the 19th. The Resort at Longboat Key Club is a 410-acre beachfront resort and private membership club located on the barrier island of Longboat Key, just off the coast of Sarasota, Florida. The Resort and Links on Longboat Golf Course are bordered on the west by the Gulf of Mexico with the Harbourside Golf Course, Longboat Key Club Moorings and Tennis Gardens bordered by Sarasota Bay on the east. With an emphasis on privacy, exclusivity, and personalized service, The Resort at Longboat Key Club is a true luxury vacation destination offering tennis, golf, fitness facilities, The Spa, private beach access, a 291 slip deep-water marina, and 8 restaurants and lounges all at one property. Renowned as a beautiful, tropical island paradise, resort guests will feel pampered and away from it all yet still have easy access to local attractions, shopping, dining, cultural events and two international airports. Links on Longboat - Located on the south end of Longboat Key and a short walk from the resort center, Links on Longboat offers 18 holes of championship golf in a lush tropical setting. Designed by Bill Mitchell and opened for play in 1960, this 6,792 yard, par 72 "watery challenge" borders the Gulf of Mexico. During the construction of this barrier island golf course, canals were dredged to bring water hazards into play on all 18 holes. All of the greens, sand traps, and cart paths have been recently upgraded. More than 5,000 palm trees, along with pink and white Oleanders, line the fairways and canals making it one of Florida's most beautiful and challenging golf courses. Harbourside Golf Course - Located approximately three miles from the resort center, Harbourside consists of three elegantly appointed nine-hole golf courses originally designed by Willard Byrd of Atlanta and opened for play in 1982. 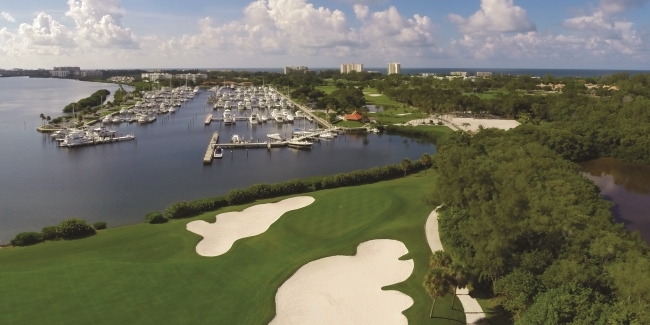 With an abundance of holes situated along scenic Sarasota Bay and Longboat Key Club Moorings, Harbourside provides another exciting challenge for seasoned golfers. The redesigned Red Hawk course measures 3,323 yards in length; the White course boasts3,426 yards, and the Blue Heron course redesigned in 2005 offers 3,386 yards. 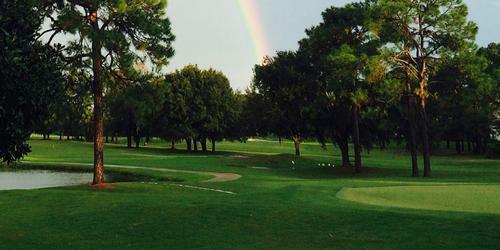 The championship layout provides a completely different golf experience from the Islandside golf course. Harbourside plays through virgin stands of live oak, Sabal palm, strangler fig, palmetto, Fiddleleaf palm, Washingtonian palm, and southern pine trees. 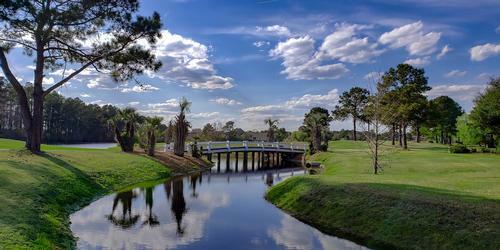 In 2005 and 2006, the Blue and Red nines were redesigned by renowned Florida golf course architect, Ron Garl. The Resort's location in a bird sanctuary also brings an abundance of waterfowl to these courses. Both Links on Longboat and Harbourside golf courses are PGA approved and offer driving ranges; clubhouses with indoor/outdoor dining and beverage service; and two fully-stocked pro shops with a large selection of golf apparel and equipment. Locker rooms feature lounge areas, showers, televisions and an attendant for towel service and shoe cleanings. Bag and club storage is complimentary for full time members. 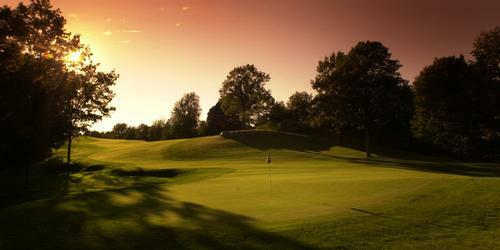 Callaway golf club rental is available at both courses. Group and individual instruction, custom club fitting, and repair services are also available. If paradise was a golf course, it would surely be the Longboat Key Club. The transformation of the Longboat Key Club golf courses has been a labor of love over the past three years, but all that effort and a multitude of resources has given us one of the most spectacular golf destinations in the state of Florida. The third and final phase of the redesign was complete at the end of 2016 with the touches to the White Egret Nine at Harbourside. As the last piece in the three year, twenty million dollar, forty-five hole conversion of the entire golf facility, the project will have touched every facet of both courses, Links on Longboat at Islandside and the Red Hawk, Blue Heron and White Egret courses at Harbourside. Through the talents of Chief Golf Architect, Ron Garl, the White Egret Nine became distinct in its design to embolden and stimulate every level of player while providing a captivating and tranquil experience. "The goal was to capture the Old Florida Charm and at the same time dramatically increase the playability of the White Egret Nine" says Garl. This was achieved through the addition of native features, raising tees to enhance sight lines and creating strategy with new contouring and reduced bunkering. Converting to Platinum Paspallum grass throughoutthe courses has also been a game changer at the resort and club. The grass is visually striking, the playability of it is off the charts and most importantly, it is tolerant to the water quality on the island. The White Egret Nine course remains in line with the prior thirty-six hole changes offering increased playability, reduced fertility and water consumption, reflecting the nuances of its beachfront location. This nine design has essentially remained the same since the original design of the early 1980's, it always was a very narrow, tree lined, back and forth routing. Removal of non-native plantings and expanding the water-holding capacity of the new landscaping allowed us to create a more genuine and indigenous setting with much larger landing areas for a full spectrum of golf enthusiasts. The real fun and strategy will be found in and around the greens. It truly is a remarkable transformation of the nine, at the same time fitting nicely into the total forty-five hole experience. From concept to construct, this new perspective for the White Egret Nine at Harbourside brings forth a renewed collaboration of design and play. This course now caters to the essence of the game while respecting the caliber of its player. At Links on Longboat, located at the Islandside area of the resort, players will experience new tees, renovated fairway bunkers and subtle changes to the out of play areas, now enhanced with native plantings. The native area design is intended to take areas normally out of play and fashion them into sustainable beachscapes. This reduces the carbon footprint while adding a welcoming ambiance to Links on Longboat. The tee boxes have been raised and leveled using laser grading technology which improves your sight lines and the overall playability of the course. Square footage has been significantly increased and the shape has been restored to the classic square sides. 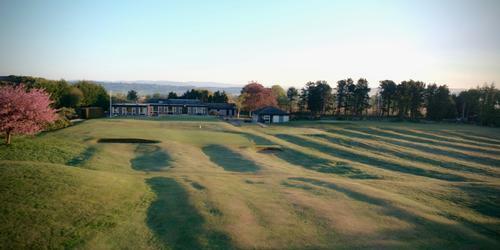 The fairway bunkers have been softened, are more playable and the sand matches that of the greenside bunkers. Hole # 6 was changed significantly replacing the fairway bunker with a grass depression to keep errant shots out of the water. Redesigning and renovating a golf course is a labor of love, the perfect combination of art and science and a harmonious blending of vision, stewardship, hard work and strategic planning. Links on Longboat is a truly beautiful and challenging course for any level player. The long ball hitters need to think more about placement when playing either course. Most holes have water on the course and if you are erratic with the driver it could be a long day. Playing to the 150 yard poles is a great strategy and one that will you allow you to score your best. The Resort at Longboat Key Club boasts a decorated list of awards ranging from ones praising the overall property, to specific sport and meeting awards honoring the upscale niche experiences on property. * Golf Digest ,"Best Places to Play"
The favorite of most players is the new Redesigned Par 4 9th hole at Links. Once a Par 5 the hole was redesigned to make it a very challenging Par 4. Water down the left side and a big lake in front of the green make it very challenging and scenic at the same time. and fitness facilities. The menu includes	the freshest lunch buffet complete with a live grill. Wash it all down with fresh organic smoothies or creative non-alcoholic beverages or regular cocktails and beer if you prefer. At the Harbourside Course there is no better spot to check into after your game than the Tavern & Whiskey Bar, aptly named for its premium selection of over 100 whiskies and bourbons. The menu touts farm-fresh selections noted daily on the centrally located blackboard menu. Seasonal produce and traditional tavern favorites round out a menu featuring daily specials. At Links it's a 63 by Assistant Golf Professional, Bob Brusso and Junior Golfer, Jack O'Hara. Both had the course record in 2016. 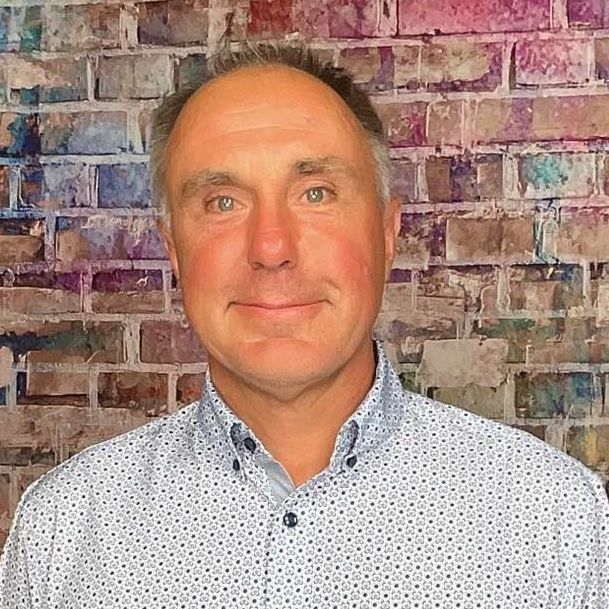 At Harbourside the course record at 65 is held by Director of Instruction, Barry Cheesman.